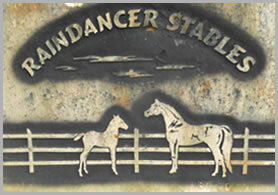 Welcome to RAINDANCER STABLES, home to some of the finest KENTUCKY MOUNTAIN HORSES. Located in the rolling hills of western Pennsylvania the horses are trained in all types of weather and on all types of terrain. Several different bloodlines are available along with completely different colorings; yet all maintain the distinction of being gaited, gentle, intelligent and desiring to please their owner. Enjoy this website and envision yourself in the saddle of one of these fine horses. Want to become the next horse whisperer? Download 8 Tips for a Happier Horse. Before looking for Kentucky mountain horses for sale or horses for sale in Pennsylvania, it is important to understand that buying a horse is a big commitment in both money and time. While it may be easy to go online and search for PA horses for sale, that doesn’t mean you shouldn’t first do your homework - or you may risk coming home with a horse that isn’t suitable for you. It is exceptionally important to us that you go home with the right horse. Before you begin the search for horses for sale in Pennsylvania, consider visiting us for a chance to try out your ride on a variety of surfaces - from roadwork to forestry, all just depending on your preference. Whether you are looking at our PA horses for sale or our Kentucky mountain horses for sale, we try to match horses to individual riders – so that we will not sell anyone the wrong horse. Again, when looking for horses for sale in Pennsylvania we encourage all would-be buyers to spend time trying the horses before you buy. 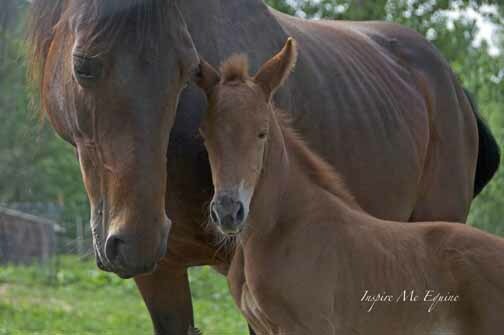 Found the Kentucky mountain horses for sale and ready to take your horse home? We can also organize individual courses to cover management and riding of the horses so that new horse owners can be well informed before taking their new horse home. After you have found Kentucky mountain horses for sale, there are still things you should know. Horses need to move around and get some good exercise. We back each and every horse at four and perform basic training in start, steer and stop. As should be expected, we first train our horses to respond well to halters or headcollars. Happy you found the best PA horses for sale? Getting a great deal on the horses for sale in Pennsylvania is not enough; horses need to be trained and developed using principles of classical training. It takes a while to produce an all-round and confident riding horse with proper basic training. World Champion Kentucky Mountain horses for sale? If you’re looking for the best horses, simply contact us. When looking for Kentucky horses for sale you also need to consider finding some sort of companion animal to spend time with your horse. If for any reason we do not have the specific type horse for you, we will help you find one elsewhere. When going for the best horses for sale in Pennsylvania, do not forget the basics such as creating enough space for your horse and ensuring the horse is healthy all the time. Whenever you plan to find PA horses for sale, always remember that sometimes costs may double in your best interests to provide your horse with the best environment to live and thrive. Remember that not all sellers have top quality Kentucky Mountain Horses for sale. You need to do some digging before finding horses for sale in Pennsylvania- take your time with the purchase. Also, when looking for PA horses for sale, look at the profiles of the horses available. If you’re looking for horses for sale Pennsylvania or Kentucky Mountain Horses for sale then you’ve come to the right place. Already have a plan in mind about buying a horse? We’ll be more than happy to help you get the horse of your dreams at a cost you’ll love! End your search for horses for sale in pa and give us a call anytime soon. We are a trusted seller in Pennsylvania and will not influence you about the style of horse you need; we help you choose. Call us at (814) 221-5660 or email: Stu@RaindancerStables.com.